By Jaykishan Panchal in Gadgets. Updated on August 3, 2018 . As soon as Apple added the Apple Watch to its ecosystem, and released the WatchKit in November 2014, developers and designers made a beeline to create third-party apps for the smartwatch. As a result, about 3000 third-party Apple Watch apps are now available at the App Store. Scores more are waiting for a nod from the tech giant. Of all these apps released so far on the App Store, we are here to look at 10 of them, which in our opinion is going to be a big deal in the near future. Unlocking rooms simply by waving your hand is not a scene out of a sci-fi movie anymore; this feature has been brought forth by Starwood Hotels and Resorts Worldwide with their SPG app. 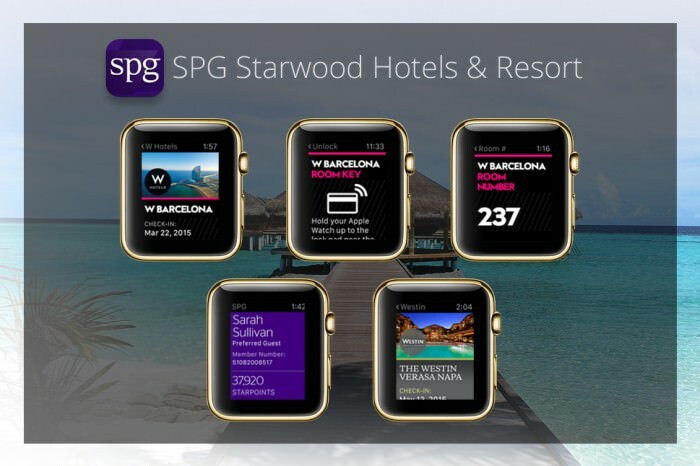 The app allows guests to unlock their hotel rooms simply by waving their Apple Watches in front of the doors, connecting the virtual world with the physical. The app also provides short snippets of clearly visible texts such as directions to the hotel without cluttering the smartwatch’s interface. It also uses contrasting colors against a dark background for better visibility of the content. This gives the guests a seamless experience, who use the app to keep a track of their check-in dates and member numbers with ease. Generating invoices, estimates and purchase orders are three core functionalities of Invoice2go. The app comes handy when employees want to keep track of the time spent on their job, create instant invoices on the go, send them and get payment notifications. Since the app uses geofencing, it gives them a precise track record and eliminates the cumbersome task of manually maintaining invoices. Invoice2go has a minimalist interface. The buttons used in the app are easy to use and interact with, even for first time users. With minimum steps, the user can get their work done. This is exactly what is expected from an Apple Watch app (or any app for any other wearable for that matter) and makes Invoice2go one of the next big apps in terms of wearable technology. Clear, one of the best productivity apps for the Apple Watch allows users to de-clutter their lives and organize their daily routines. It allows users to check their shopping lists or other tasks without taking out their iPhones. The app has a sleek UI wherein users can easily view their to-do list with a quick glance on their wrists, put a check on completed tasks, or snooze them and even set important reminders with quick taps. The circular buttons on the screen for various tasks allow better interactions and saves time as well. Uber’s Apple Watch app allows you to call a cab to commute anywhere in and around any location, by just tapping the ‘Hail’ button. The app then automatically detects the location and sends feedback in terms of the estimated time of the arrival of the car for pick up. Uber also provides crucial information such the model of the car, the driver and real-time update of the car’s location in the form of Glances. The design of the app is all about providing instant service along with real-time information and makes apt use of Glances to offer important content relevant to the users. It uses the device’s bezel to display the location of the car and makes the information easy to understand with just one look at the wrist. Although moviegoers have to purchase tickets from Fandango’s official website, their accounts will be synced with the app and a mobile barcode ticket will be made available. When they visit the theater, all that they need to do is get this virtual ticket scanned to enter the screening. 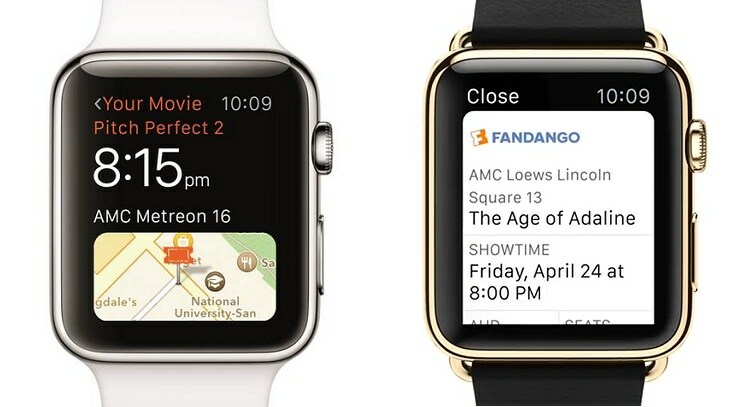 Fandango makes the most of the Apple Watch screen space, especially when it displays the barcode ticket, the information about the theater’s amenities as well as countdown-to-showtime. The app also connects with the movie-goers by displaying trivia and quotes from the movies, which results in better user engagement. Kitchen Stories is not your everyday cooking app; it offers clear step-by-step guides to various recipes. What makes this app immensely handy for beginners is that it provides them with a shopping list for ingredients, timers and also recipe cards. 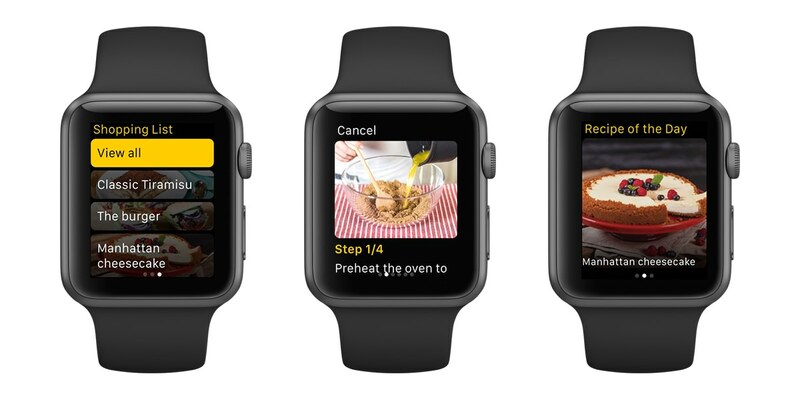 Kitchen Stories aptly demonstrates the power of a wearable by giving users both text and relevant images and icons that allows them to understand a recipe without having to flip pages and cook with ease. The recipe cards have all the important information right from the number of servings, to the indication of the time taken to prepare, the level of difficulty and ingredients list. The instructions are also given in a stepwise manner in the form of Glances. The app saves users from the horror of accidentally dropping their iPhone or iPad into a bowl of cookie batter or cake mix! Honeywell Lyric is a thermostat that uses smartphone location data to heat or cool homes automatically. 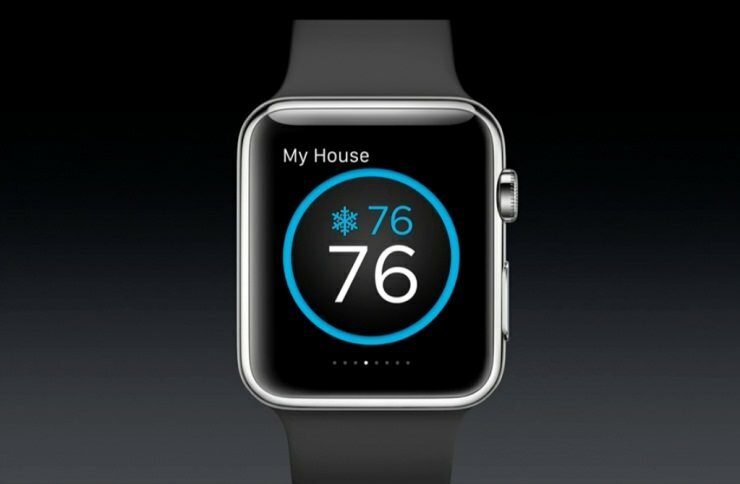 The app of the same name for the Apple Watch can be used to set the perfect temperature, even when users step out of their home. This helps home owners to save on energy bills in the long run by regulating home temperatures even when they are not home. With its simple instructions and even simpler buttons, users can regulate temperature of their thermostats even when they are miles away from their home. This app have circular, actionable icons in the app that allow users to set their preferences in easy steps, giving them an enhanced experience. The app also uses color coding alongside icons to indicate temperatures such as orange for heating and blue for cooling. SoundHound is an app that allows users to search for specific songs by listening in to the tune of the song from the device istelf. Users can hum the tune or even sing a few lines of the song and the app will display the song name as well as the LiveLyrics. The main feature of the app is that the song plays in the background while the lyrics get displayed on the screen automatically. What makes the Apple Watch app special is that the part of the lyrics that is currently being played in the background gets highlighted in a different font color. This nifty bit of animation works wonders and gives the end-users a delightful and engaging experience when they listen to their favourite songs. It is akin to a personal karaoke on their wrists that they can easily access and even use when they are on the go! A healthy lifestyle is possible with Lifesum – Lifestyle tracker & Calorie Counter app for the Apple Watch. One of the first health apps for the Apple Watch, Lifesum offers numerous useful tips, reminders as well as exercise suggestions for maintaining a healthy lifestyle based on user inputs. The app has a colorful interface, which allows users to track their food and water consumption levels as well as physical activity. 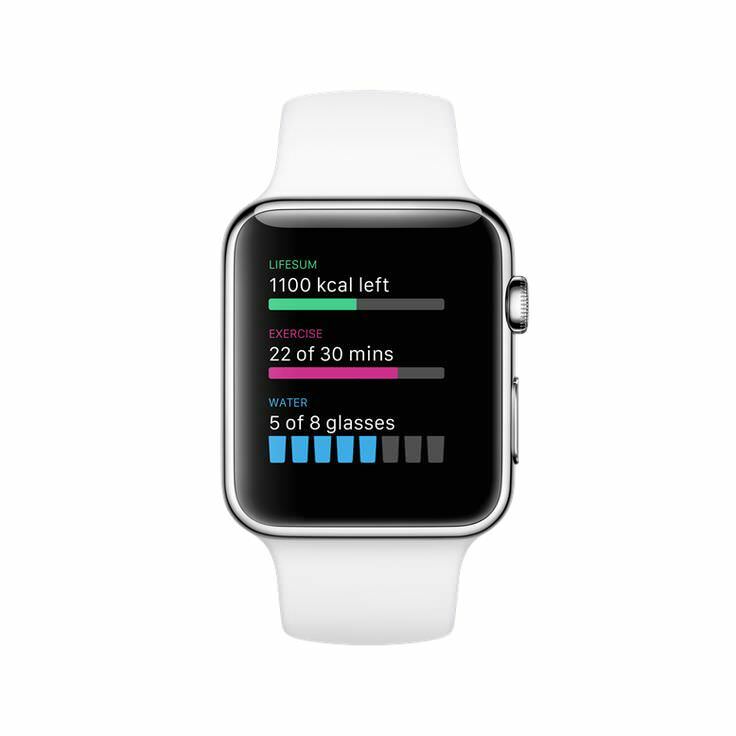 Designed for the wrist, the app allows users to record their inputs with a single tap using actionable buttons. The app uses three main colors to indicate the levels of food, exercise and water and presents the statistics on the screen in an easily comprehensible manner. 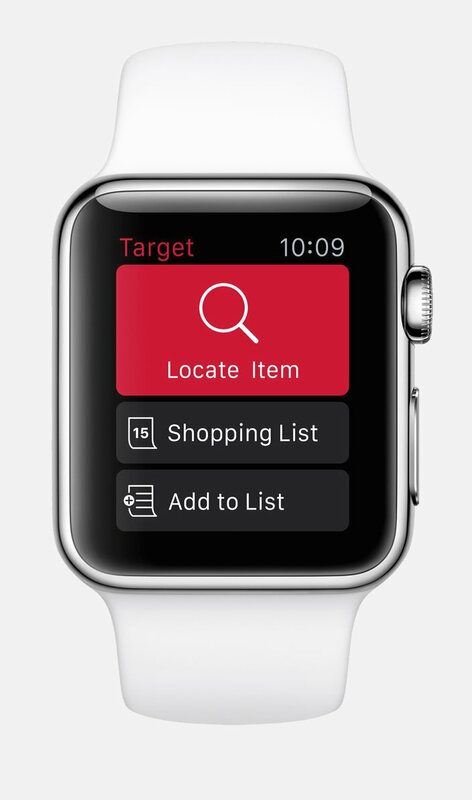 Target’s Apple Watch app for the chain of retail stores makes for hassle-free shopping trips. It has everything that a shopper requires right from the option to view the deals on specific items to creating a shopping list and even locating items in specific aisles in the store along with providing the stores’ opening hours. Glances in the app further save their time and make shopping a breeze for the users. With large fonts in contrasting color and an intuitive interface, they can easily cut down on their shopping time and checkout before the store closes for the day. 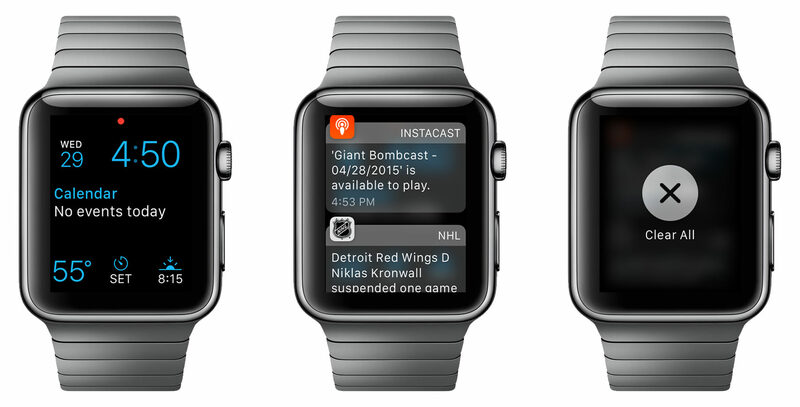 These apps are already available for installation on the Apple Watch. At present, all of them are in their nascent stages. However, we can definitely expect more features and functionalities, along with bug fixes in the future, for these apps as well as many other innovative apps on similar lines. What do you think? Do you know about any other Apple Watch app that needs a mention? Let us know through a comment. Editor’s note: This is written for Hongkiat.com by Jaykishan Panchal. 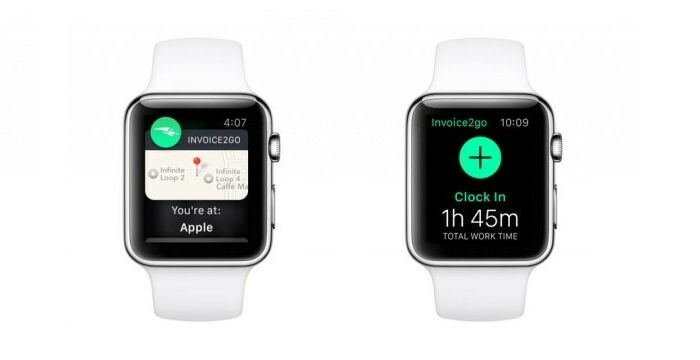 Jaykishan is a content marketer at MoveoApps, an apple watch app development company. He enjoys writing about technology, marketing and industry trends. You can follow him on Twitter.